Cool guys that you'd like to hang out with. These guys are so cool and down to earth that it's hard not to imagine hanging out with them and having a few beers and having a good time. Not insane like diggnation, not pretentions like the publications. Just hope the wives and girlfriends let them keep doing the show! This the the most intelligent of all the current crop of video game podcasters. Since they are not video game "journalists" their opinions are very honest. And unlike almost every other video game podcast they don't seem to have been instructed to "make it sound extreme". Nope, if you wanted to hear a 45 minute reasonable discussion of the history of Infocom, this is the place. Their discussion segments also bring up some very interesting and insightful points, it isn't as frequent as others, but that is because these guys have a life. But that means when they do speak they have more to talk about. Interesting discussion of current games (cross platform), and great reviews of older games as far back as the start of computer gaming. Loosely structured, sometimes rambling discussion, but definitely worth a listen. A great podcast with a great mix of humour and information. These guys know what they are talking about and have very educated and informed opinions. 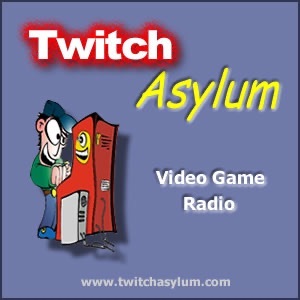 They are a blast to listen to and should be every gamers list of podcasts!! I really enjoy the retro-respective portion of this podcast, and the interviews are quite good.